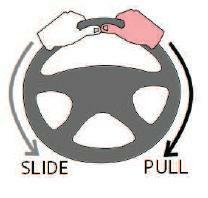 The best and safest steering method for a road vehicle is pull-push steering for normal driving. For manoeuvring at very low speed it is often good to use hand over hand steering. However to avoid confusion, we focus on drills for pull-push steering in the early phase of driving. We have several drills to get this steering up and running for the Indooroopilly Learner. Without these drills the Learner would probably struggle with the technique. We often see the product of ad-hoc steering and it can look to be frustrating. When the Learner has a logbook with almost 100hrs of using their method it can be very difficult make any change. 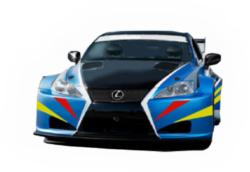 Ultimately the Learner may adopt a little style of their own into their steering technique, but the short time we spend on these drills and the practice we do takes the Learner a very long way toward good steering. Good steering is so important to being on the correct part of the road and being able to alter course as needed. So these drills form the foundations of good steering and will stay with the Learner as they progress through the 100hours of driving. Steering is so important. It is the only way you have to position the car correctly on the road. Our Driving School has several Steering Drills to make it easy for Learners to get the best out of positioning the car. often Learners can struggle grasping pull-push steering but these drills make it easy and fun. Let's get started with some great smooth steering.